Would you like to become a mathematician, or rather stick to being a woman? There are of course many people who are both, and very successful ones at that, but the fact remains that women are still under-represented in maths-based careers and degree courses. They are also twice as likely to drop out of maths-based careers as men. Now a new study suggests that this may be due to the strain a maths environment puts on women's self-perception; a strain that works through unconscious gender stereotypes. In an article published in the January issue of Psychological Science, psychologists Amy Kiefer of the University of California, San Francisco, and Denise Sekaquaptewa of the University of Michigan report on a study they carried out on undergraduates that were enrolled in an introductory calculus class. They rated women's implicit gender stereotypes, for example by checking if they automatically associated "male" with maths ability, and their self-perception, for example by asking if they identified themselves as feminine. They then followed their performance independently of the maths ability they had displayed previously. The researchers found that the worst performers were those that had strong implicit gender stereotypes and were likely to identify themselves as feminine. This may seem unsurprising, but the important point is that the women's stereotypes were unconscious: the majority of women taking part in the study had explicitly stated that they do not believe that men are better at maths than women. Another interesting point is the extent to which under-performance seems to be linked to gender identification. The authors suggest that this may give some insight into the high drop-out rate of women in maths-based careers. Women may feel that to be in tune with their work environment, they need to distance themselves from feminine characteristics. And the more they value these characteristics, the bigger the sacrifice that this involves, so that even women who are very good at what they do may come to leave their field. It's sad to see how deep-seated women's stereotypes about their own abilities are, but there is hope. In recent decades women's participation in maths and science has increased drastically. There are many highly successful women mathematicians that can serve as role models. And once a critical mass has been reached, even the most ingrained stereotype can be overturned by experience. Harald Bohr must be the only mathematician who came to fame through football: as a member of the Danish national team he won a silver medal at the 1908 Olympics in London. Although it's hard to imagine these days, back then you could still pursue a sports career in your spare time, and by the time Bohr took part in the Olympics, he had already spent four years doing a maths degree at the University of Copenhagen. His sporting success gained him celebrity status in Denmark and when he defended his doctoral thesis after the games, the audience reportedly contained more football fans than mathematicians. Eventually, though, his interest in maths gained the upper hand and he became a professor of mathematics at the Polytechnic Institute in Copenhagen in 1915, moving on to the University of Copenhagen in 1930. 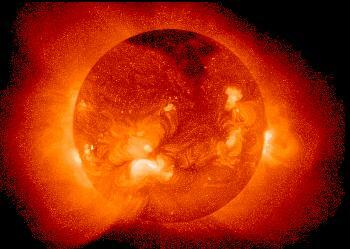 He was interested mainly in the application of analysis to number theory. Together with Edmund Landau he proved some major results about the Riemann zeta function, which lies at the heart of the famous Riemann hypothesis. Although their work contributed two important steps towards its solution, no-one has yet been able to fill in the remaining details — the problem is still unsolved and bugs mathematicians to this day. But if Bohr's name rings a bell in your brain, it's probably not because of his football stardom, or because of his own excellent contribution to maths, but because of his famous brother Niels. Niels Bohr won the 1922 Nobel Prize for physics for his insights into the structure of atoms and for his work on radiation, and was one of the founding fathers of quantum mechanics. Although Niels takes most of the posthumous limelight, Harald's contribution to maths was nonetheless remarkable, gaining him international recognition as one of the most prominent Danish mathematicians of the twentieth century. But Harald Bohr's life wasn't all maths. His generosity towards people in need, especially those fleeing the Nazi regime in Germany, gained him just as much international acclaim as his work. The music of the primes. The third issue of the magazine Science in School is just out, and as usual is a fascinating read about all areas of science. Plus particularly enjoyed Richard West's reminiscences of discovering a comet, and the articles on the power behind the Sun and the advances of Muslim scientists during the Dark Ages in the West. Science in School aims to promote inspiring science teaching across Europe. It's published quarterly, and you can either subscribe to the printed edition or read it free online at http://www.scienceinschool.org. 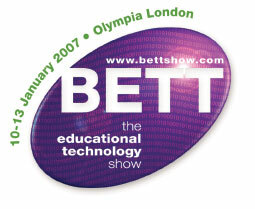 News from the world of maths: BETT 2007 - come and say hello to the Plus team! BETT 2007 - come and say hello to the Plus team! Always a firm date in the educational diary, BETT 2007, 10-13 January, Olympia, London, promises to showcase a wealth of new technologies, innovative ideas and the latest advice. The MMP's stand this year is S69 in the Grand Hall Gallery, so if you're visiting BETT, come and say hello to Plus and the rest of the staff from the MMP. In the recent Queen's Speech to Parliament there was one point that went largely unnoticed, but that may drastically alter the nature of political argument: the government's plan to set up an Independent Statistics Board. The board will "reinforce the independence, integrity and quality of statistics produced in government". So why is this necessary? As always with statistics, it's not necessarily their quality that gives cause for concern, but their presentation. At the moment, the Office of National Statistics reports straight to ministers — and ministers get hold of the outcomes of statistical surveys and studies ahead of everyone else. So what reaches us when results are released is not just the numbers, but also the ministers' interpretation of them. With the proposed Statistics Board in place, ministers would no longer get these sneak previews. Statistics would not only be produced, but also analysed and interpreted by independent experts that have no links with policy makers. Their interpretations would be understandable for the general public. Politicians, who would get the results at the same time as everyone else, would find spinning them a whole lot harder than they do now. Statistics are a critical measure of a government's performance on pretty much everything, including health, education and the economy. They are a crucial tool in political debate. So, who knows — maybe politics is just about to get more honest. To find out more read the Treasury's press release or listen to this episode of the BBC 4 programme More or less, or, if you're very brave, read the government's consultation document. When De Moivre first came across Newton's famous work the "Principia" he was so struck by its depth and rigour that he immediately bought a copy and cut it into pieces - carrying just a few pages at a time was the only way he could study the work while making his rounds tutoring private students in London. But it wasn't just dedication that gained him full marks. Since an early age he had been interested in maths, especially in games of chance, and he is today known as a pioneer of probability theory and of analytic geometry. His "Doctrines of chance" presented the broadest and most rigorous treatment of probability of its day, and he is credited with deriving the normal curve and developing the concept of standard deviation. His name is famously attached to a formula that gives geometric meaning to powers of complex numbers by expressing them in terms of trigonometry. De Moivre's eminence as a mathematician was recognised by many of his most prominent contemporaries, including Newton, who he was friends with, and Leibniz. Interestingly, the Royal Society called upon him to referee Newton and Leibniz's dispute about who had first invented the calculus. Sadly, though, De Moivre's genius was never rewarded professionally. As a French national who had been expelled from France (after a prison sentence) because of his protestant religion, he remained a foreigner in London. Despite the support of his prominent friends he was never employed by a university. He made a living as a private tutor and died in poverty. Death played an important role in his mathematics. Together with Halley, who gave his name to the comet, he set about investigating mortality statistics, laying the foundations for actuary theory used by life insurances. Most curiously, De Moivre is said to have used maths to predict his own death. He had noticed that he was sleeping 15 minutes longer every day. Analysing the arithmetic progression 15, 30, 45, .... , he calculated that on the 27th of November 1754 he would sleep through the full 24 hours. He was right - it was the day he died. Find out more about De Moivre on the MacTutor history of maths archive, about De Moivre, death and statistics in this past Plus article, and about complex numbers and trigonometry on cut-the-knot.